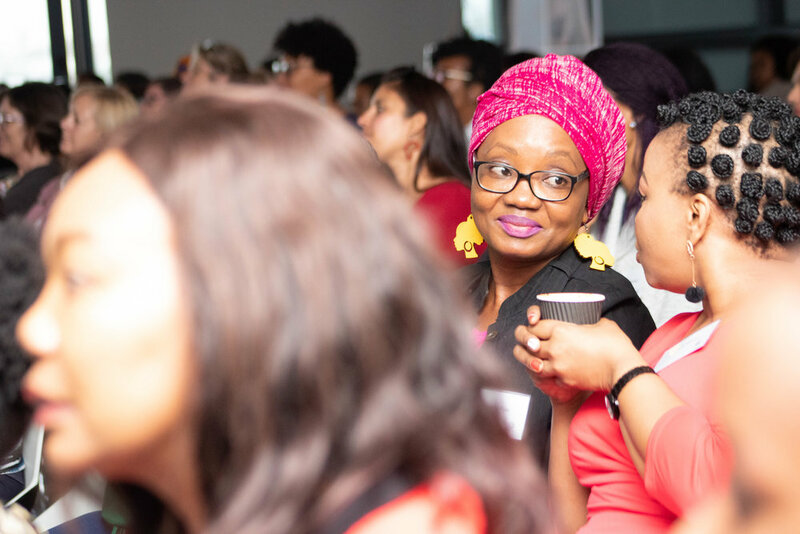 There is always incredible energy at a Lioness Lean In event in Johannesburg, and the latest event on 5 April was no exception. The focus of the morning was on celebrating women entrepreneurs in South Africa as the key drivers of socio-economic growth and impact. And, the women entrepreneurs on the speaker panel were truly inspirational examples of this. 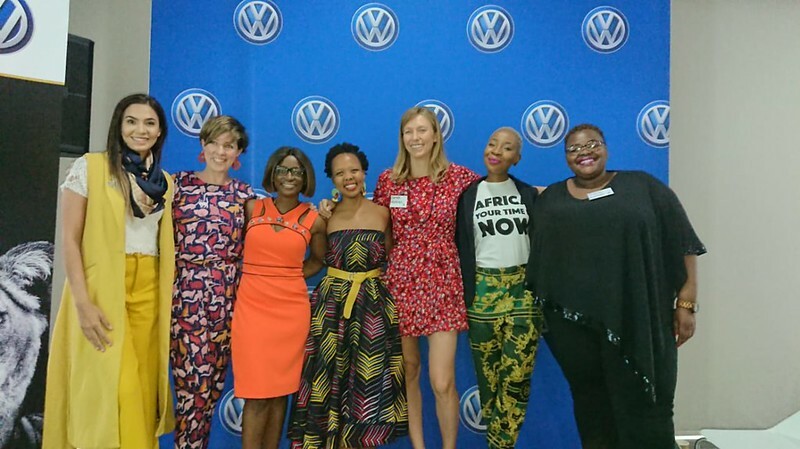 The venue for the Lioness Lean In Johannesburg event on 5 April was once again the Volkswagen Group SA offices in Sandton, one of Lionesses of Africa’s key impact partners for the Lionesss Lean In event programme. And as always, a warm and enthusiastic welcome was on offer from the VWSA team to everyone attending. An audience of over 100 leading women entrepreneurs from the city attended the event, all looking to be inspired and make those all important business connections. The morning’s programme commenced with breakfast and networking, with women entrepreneurs getting the opportunity to meet one another, make important connections, and open up new business opportunities. The event programme then formally got underway with a welcome from host and MC for the morning, Hlubi Mboya Arnold, Lioness Lean In Ambassador Southern Africa. She presented an overview of the work of Lionesses of Africa and its vision to empower and support 1 million women entrepreneurs across the African continent. She shared some of the major initiatives currently being rolled out by Lionesses of Africa across the African continent and also plans for the remainder of the year ahead, including some initiatives that will support South Africa’s women entrepreneurs in particular. Hlubi also took the time to celebrate those women entrepreneurs who are making the news because they have been recognized with major awards by their business and industry sectors. This month, Forbes Woman Africa has recognized the inspirational Dr Divine Ndlhukula, founder of Securico in Zimbabwe, as the 2019 Businesswoman of the Year. This is a fitting award for a pioneering woman entrepreneur who has changed the face of the security industry for women in Zimbabwe and on the African continent. Also this month, one of Africa’s leading couture fashion designers has been recognized as the continent’s designer of the year at the International Fashion Awards Summer 2019 in Cairo. Her couture gowns are worn by global celebrities and fashionistas alike, and her designs are truly breathtaking. She is an inspiration to a whole new generation of women designers in her home Malawi, and across the African continent. Welcoming guests officially to the event and getting the morning’s proceedings underway on behalf of Volkswagen Group SA was Bridget Harpur, Rental Sales Manager. Other highlights on the programme included three inspirational guest speakers, all successful women entrepreneurs from Johannesburg, who shared the stories of how they launched their businesses and how they have built them into the vibrant and growing businesses they are today. The first inspirational woman entrepreneur to share her startup story at the event was Unaiza Suliman, founder of UniQBrows. She is a motivational speaker, a business leader, an entrepreneur, and an award-winning business woman. As the founder and owner of UniQBrows and UniQSkin, Unaiza is the go-to expert in the brow, skin and beauty industry. She is the official sponsor of Miss South Africa, Mrs South Africa, an ambassador for Kerastase, and is dedicated to empowering women and those around her. And, her brow and lash training academy sees her boost employment with unemployed youth. The next inspirational speaker on the programme was an entrepreneur who knows all too well what it takes to introduce a niche retail brand into the marketplace. Gugu Nkabinde, is the founder of Gugu Intimates, the first skin coloured underwear range in Africa for brown skin tones which officially launched in July 2017. Gugu describes the launch and great reception of Gugu Intimates as “an idea and story whose time has come”. Her range of skin coloured underwear is sold online via www.guguintimates.com and is already available in select non-tradition retail outlets in Gauteng. Gugu shared the story of her inspirational entrepreneurial journey to date, the challenges, the highlights, and future plans. 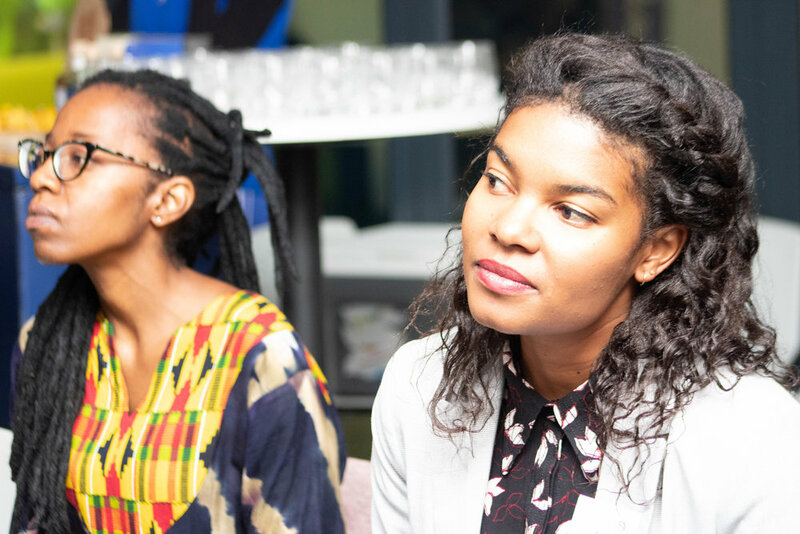 A Lioness Lean In event has become synonymous with women entrepreneurs launching new products and services and giving attendees from the Lionesses of Africa community the opportunity to sample their brands at first hand. The final guest entrepreneur sharing her story was Sarah Kennan, the passionate founder of Leonista (which means Lion Spirit) - it’s a wonderful 100% agave spirit made in South Africa, using the natural agave growing in the Karoo. It is the first of it’s kind in the country and women in the audience got the chance to experience it for themselves at the event. Two popular new features in the Lioness Lean In event programme - Lioness CoLab and Lioness Launch came next, with attendees getting the opportunity to hear from women entrepreneurs who are launching great collaborations and creating new products and services in the marketplace. First up to talk about her Lioness Collaboration was Karen Carr, co-founder of Benji & Moon, one of the most exciting pet accessory brands in the country. Her brand is well known for collaborating with other creative entrepreneurs to produce some of the most beautiful and practical accessories for your beloved furry friends, your pampered cats and dogs. And she had some great new collaborations to share with attendees. The regular Lioness Launch feature showcased two amazing women entrepreneurs who announced the launch of their new products and services. Firstly, Thabiso Mahlape, founder of the pioneering book publishing company, Blackbird Books in South Africa, which is dedicated to giving young black voices a platform. Many of you will have read some of the exciting book titles published by her company which have been hitting our bookstores this past year. Thabiso shared news of her exciting new podcast initiative she is launching this month where she interviews local authors on their latest publications. The final Lioness Launch guest was Olaotse Disipi, founder of Star Reflexion, an exciting leather accessory manufacturing brand here in South Africa. She has just launched a wonderful new range of leather boots that are not only beautiful to look at, but they are custom designed to fit any shape of leg, making boot wearing a possibility for every fashionista in the room. 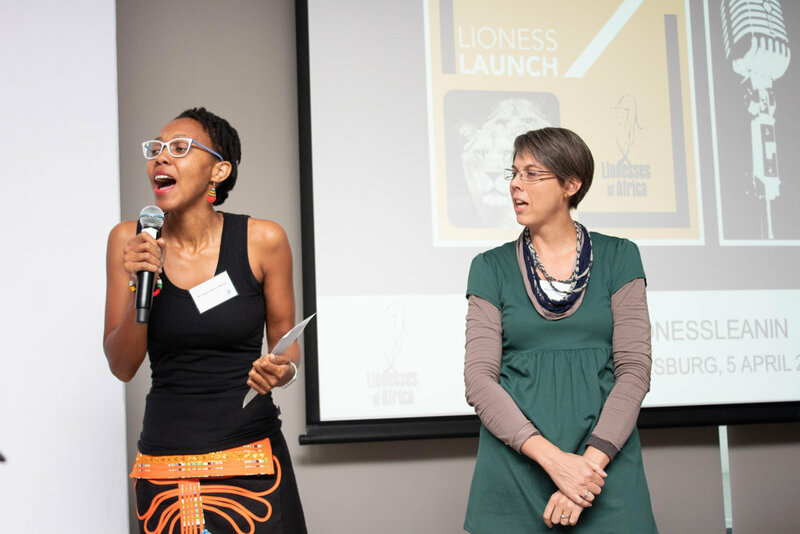 The Lioness Launch section of the programme was wrapped up with 5 women entrepreneurs invited from the audience to come up and introduce their new products and services they are launching - in just 1 minute each. It is always the most popular section of the morning’s programme, and the women entrepreneurs pitching their businesses and products did not disappoint with their pitches. The morning’s programme ended with the Prize Giveaway, with attendees getting the chance to win some fabulous prizes donated by the speakers and other guest companies. The morning ended with Hlubi returning to the speaker podium to announce some exciting new initiatives that will benefit the women entrepreneurs of South Africa. These included subscriptions to the Lionesses of Africa free daily newsletter, Good Morning Lionesses; the free weekly digital magazine, The Mix; the weekly Lioness Radio Show; plus access to showcasing new businesses and products on Lioness CoLab, a platform to promote new products and services being created by collaborating fellow women entrepreneurs. Also, Lioness Launch, a platform dedicated to helping women entrepreneurs to digitally launch their new products and services into the marketplace across the African continent through the Lionesses of Africa community. For more information on the Lioness Lean In event programme, visit the Lionesses of Africa website.